The 2019 Outside Lands Festival is coming up and it’s our task to help you relish each and every second of the musical fiesta. Yes, we know it’ll not be as easy as it sounds with the schedule of the fest boasting more than 80 pieces in its lineup including showstoppers like The Weeknd, Janet Jackson and Florence and the Machine, not to mention the other entertainment options like comedy shows. But if you were lucky enough to get your hands on those exquisite tickets, here are three tips that’d help you make the most out of each lineup by day. We’ll see you on the other side. Outside Lands is indeed a massive enclosure for the unruly crowds, navigating across which is going to rack up the steps on your Fitbit like never before. Whether that’s a hike to Lands End or Twin Peaks, we’d recommend going to the stages which are grouped together and limit the cross-festival excursions for the acts that just can’t be missed. While we agree that the bigger shows might happen later in the day, yes… If we take that factor out of the equation, the best time to be at the festival is during the first few hours after the gates open. It’s visibly less crowded, as if entering an entirely different realm where music isn’t so popular, which then translates to shorter lines for the bathrooms and concessions as well as easier access to the viewing areas you really desire. Moreover, there might be some cool acts earlier in the day as well. Laughter is considered the best medicine for a reason. And you’ll surely be healed if you attend a set at the Barbary, which is the festival’s hotspot for comedy and improv. This year’s lineup is particularly spectacular, with Michelle Wolf, Jonathan Van Ness, Paul Scheer and others. Comedy fans will want to plan ahead for this one as the lines may really get long. Tickets are available at Barbary about two hours prior to the start of the event. Those who, unfortunately, could not spare the time can instead wait in the standby line starting 30 minutes prior which means that you might not get through, so strap in early if you really want to have a shot! What can/can’t I bring in? Small Bags and backpacks but these should be made up to clear plastic, vinyl or PVC. Bags and purses which are smaller than 6” x 8” x 3” are also allowed. You can also bring empty hydration packs with a capacity below two and a half liter. There should not be more than two extra pockets in these packs. 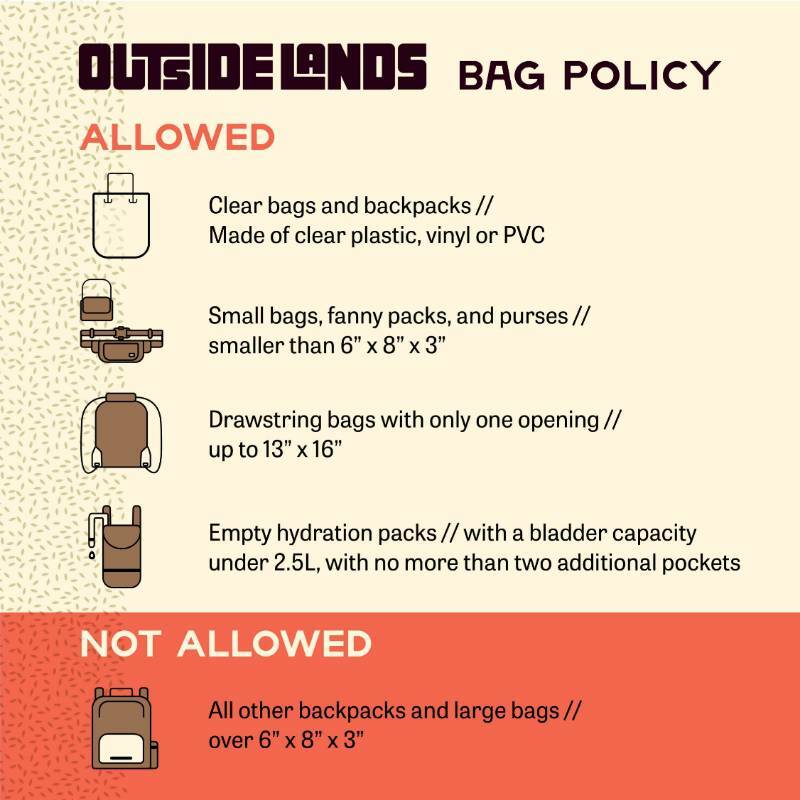 Below is the list of things which are strictly banned to bring with you in Outside Lands Festival. Large bags and backpacks which are larger than 6” x 8” x 3” are not allowed. Alcohol is not available, but you can have it at the festival. As video recording is not allowed, so video equipements are also prohibited. Audio recorders and professional camera with lens larger than 2 inces. The Outside Lands Music & Arts Festival is a music fiesta held annually at Golden Gate Park in San Francisco, California. When is Outside Lands 2019? 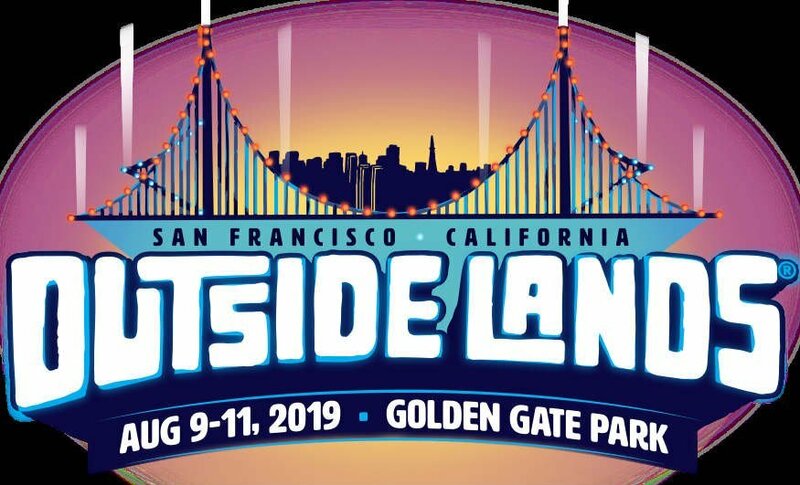 The Outside Lands 2019 starts from August 9th and ends on August 11th. 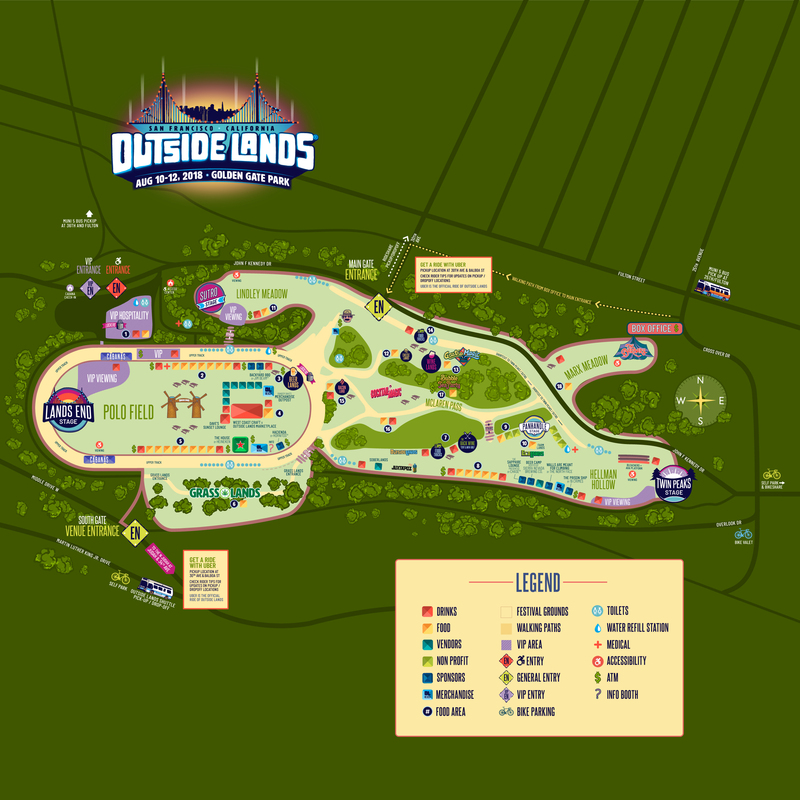 What time does Outside Lands start? When do Outside Lands single day tickets go on sale? The single day tickets for Outside Lands go on sale in the mid of July, when the lineup drop and is divided across the 3 days. How much do Outside Lands tickets cost? Can I leave the festival and return on the same day? Generally, re-entry is not allowed as you can enter the festival just once a day. But if any unavoidable circumstances arise and you have to leave then you must speak with a Supervisor at any festival entrance/exit gate before leaving to be scanned out. 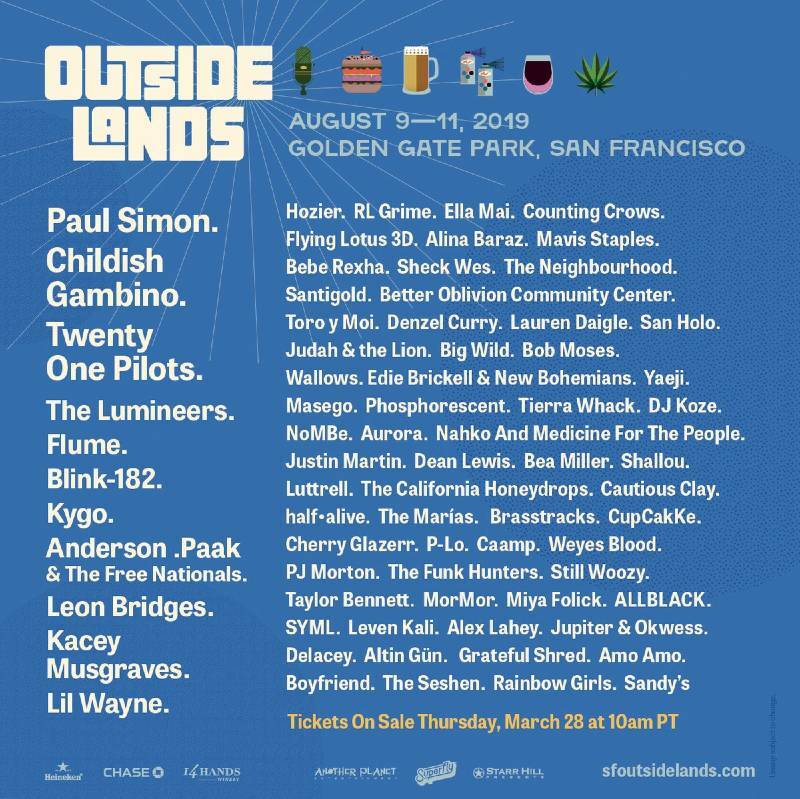 What is Outside Lands 2019 lineup by day?